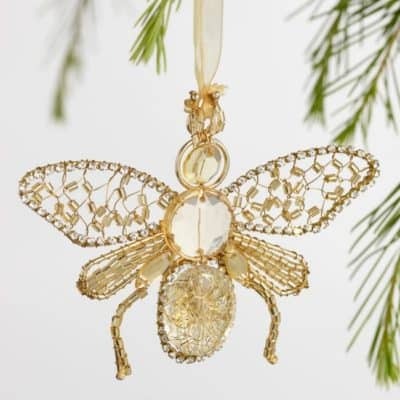 We can’t wait to share our favorite Gold Holiday Ornaments guide. Before we do that, we want to share a fun scavenger hunt that’s going on at World Market. There is a LOT of money on the line, and I am spilling the deets below. 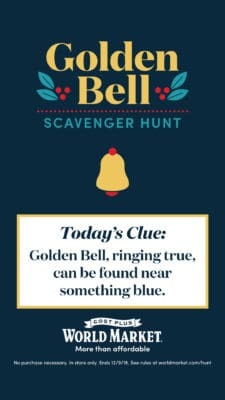 what is the Golden Bell Scavenger Hunt? 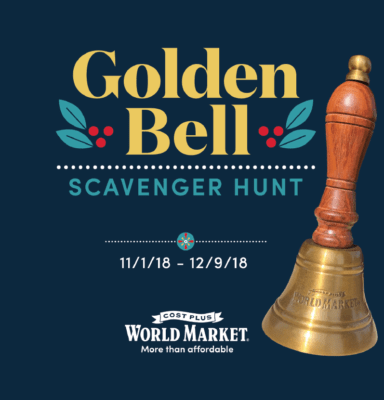 From November 1, 2018, through December 9, 2018, World Market is going to have Golden Bells placed strategically throughout the store. 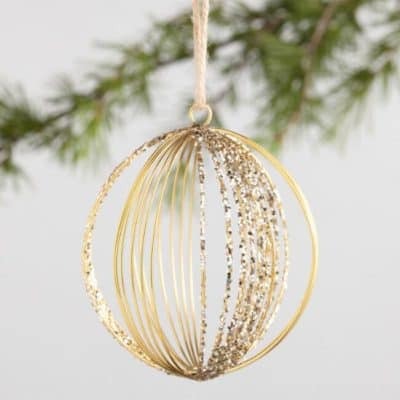 Each one of these Golden Bells will have a coupon associated with it: $10, $20, $25, or $50. 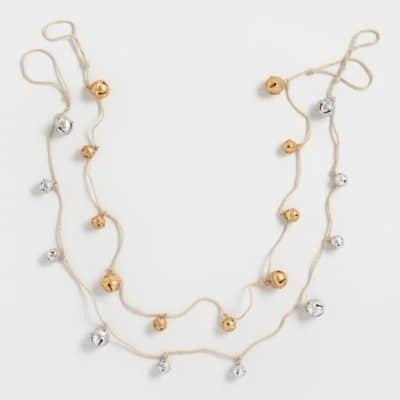 All you have to do is bring the Golden Bell to a store associate, and they will give you the reward for you to put towards your purchase that day. 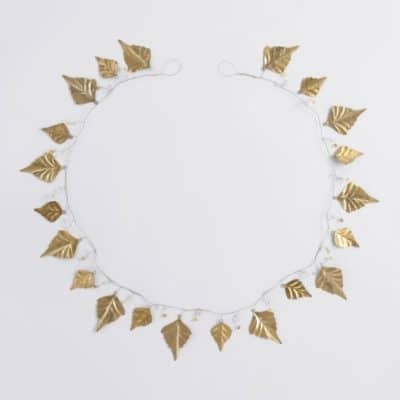 Where is the Golden Bell located in the store? 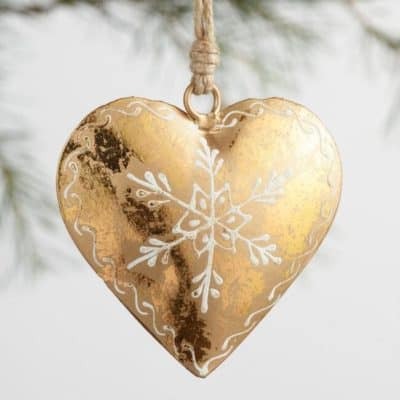 Every day I will be sharing a clue for you to locate the Golden Bell in your local World Market store. They might be by the kitchenware, bath, and beauty, or anywhere. You never know! You just have to read the clues. 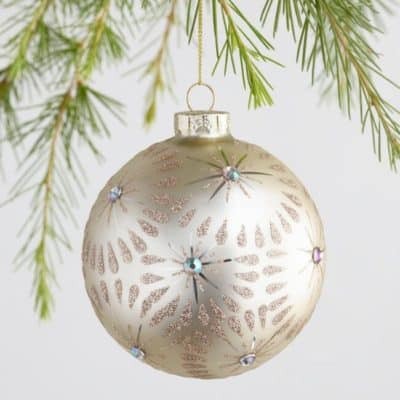 What are some of the clues to help find the Golden Bells? FIRST – Download this printable PDF clues tracker sheet. to keep track of the daily clues. SECOND – Follow me on Instagram where I will be sharing clues on my Instagram stories daily. 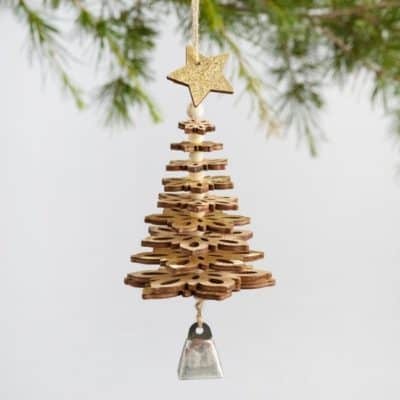 THIRD – Write down the clues, make your best guess, and head into World Market to find the Golden Bell. Each day we will announce on our Instagram stories the daily clue. 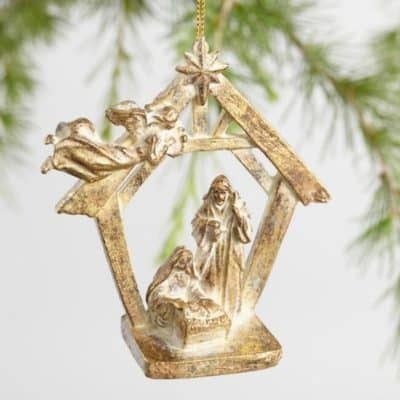 For instance, it might say (and this is only an example) “Shiny and Bright, the Golden Bell is within sight!” That would lead me to the Christmas aisle, and toward all of the shiny Gold Ornaments I am so fond of. Well now. Where do you think that could be? Print out the clues tracker sheet and start your journey. Make sure you head in store to play the Golden Bell Scavenger Hunt game and win your portion of 1.8 million dollars! 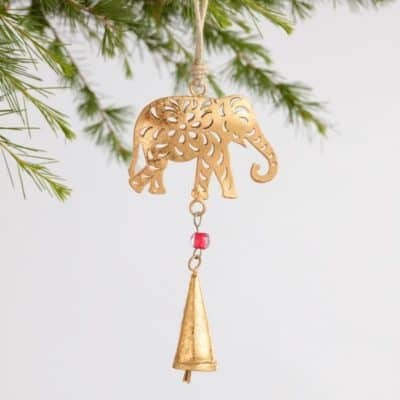 I am IN LOVE with all things shiny and bright, and I love to decorate with gold ornaments and gold holiday tree decor. I have created a quick and easy shopping guide for you below. 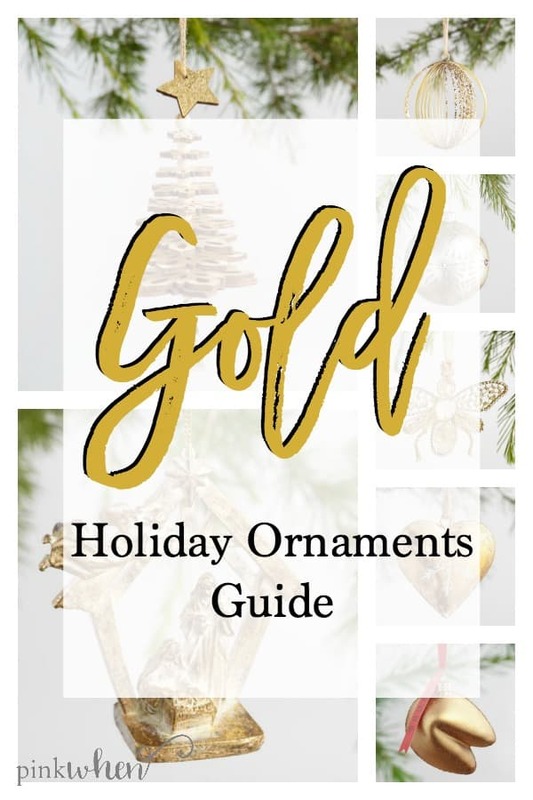 This guide lists 10 of my absolute favorite gold ornaments or gold decor items that you can find at World Market. You can grab these beauties these in-store or online. 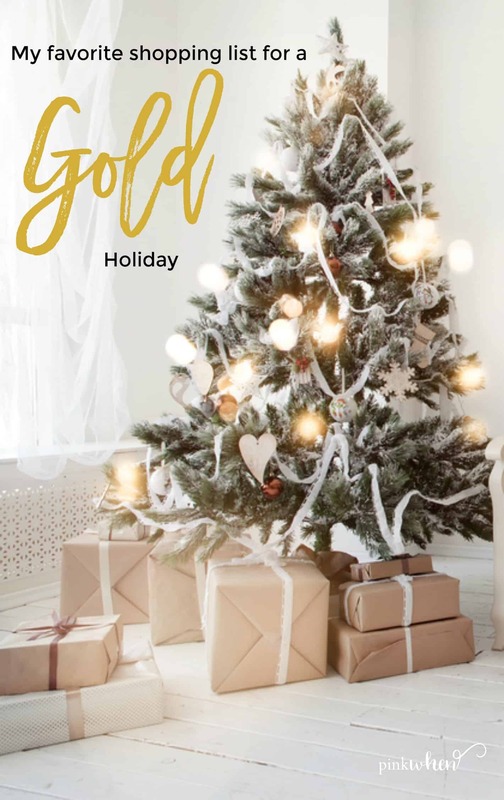 I love all of the gold options, and World Market has you covered. Make sure to play along with the Golden Bell Scavenger Hunt and win some cash for your gold purchases!